2. On the PayPal donation page, enter the donation amount you would like to make into the box. If you would like to make this a recurring monthly gift, click the box under “Make This Recurring (Monthly)”. We’ve indicated this option in red in the photo below. 3. Below the blue box on the page, enter your card information (or log in with PayPal) then click the “Review Donation and Continue” button. You do not need a PayPal account to make a donation. 4. On the next page, review your donation. If you would like to earmark your donation for a specific cause, click “Add special instructions for the seller” indicated in our photo with a red arrow. For example, you might write “For PTDT’s move into 11D”. Note that you have another chance on this page to make your donation a recurring monthly gift. After reviewing your donation, click the “donate” button near the bottom of the page. That’s all there is to it! 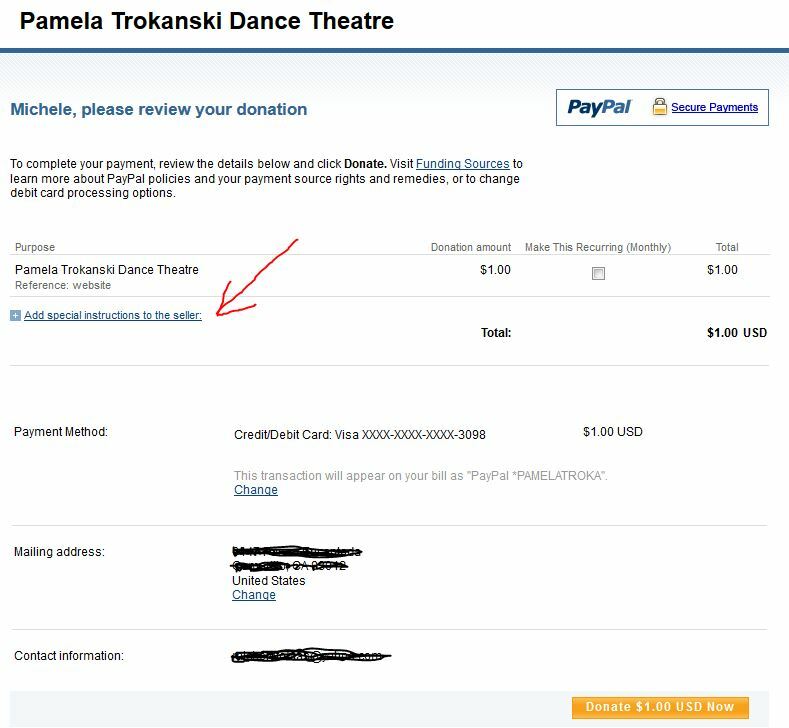 We hope that offering an electronic and credit card donation option makes it easy to support PTDT’s continued concerts, community outreach, and education.